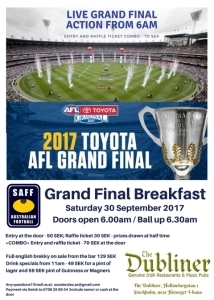 The 2017 AFL Grand Final Breakfast will be held on Saturday 30th September at The Dubliner Stockholm. This is the second year running the event will be hosted at The Dubliner after a great turn out in 2016. 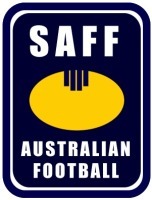 Entry is 50:- at the door and goes towards the running of the Stockholm Australian football league. A raffle will also be held on the day! A full English breakfast is available to order at the bar for 129:- with special prices on Lager, Guiness and Magners. 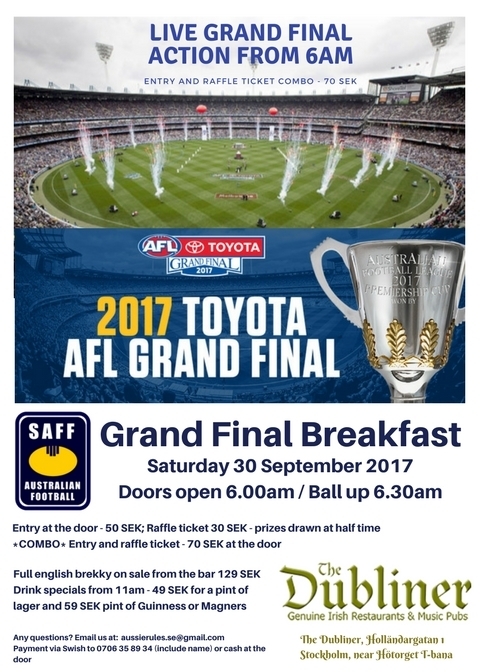 Get along to support the game and footy in Stockholm! Contact aussierules.se@gmail if you have any questions about the event!